This week, I visited Big Tree Plantation for a Star64 movies shoot and I was pleasantly surprised! I just thought it was a big tree plantation (yes, it’s very appropriately named) where people go to get their Christmas trees. But, I quickly learned that it’s so much more! 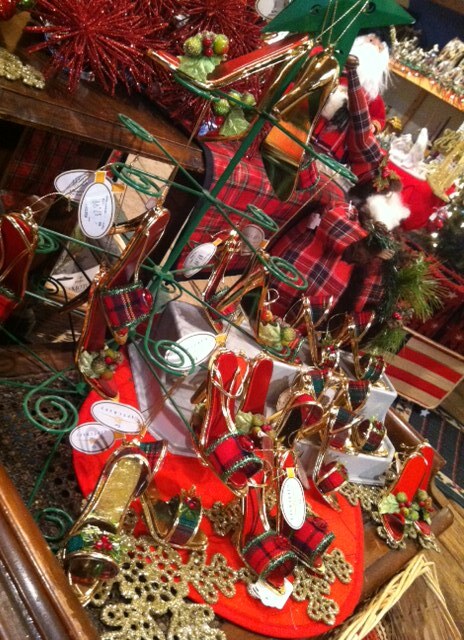 They have a winter wonderland for kids (crafts, face painting, meeting Santa, live reindeer, etc) and also an amazing gift shop. In the shop, which is actually in a shabby chic old barn, they had ornaments you can buy to decorate your tree in theme (beach, western, glitzy), and you can personalize the ornaments for free (like, if you want to give it to “mom” “grandpa” or put a year or family name on it). There’s a kids shopping area for kids where all the shelves are kid height and there are gift items they can buy for their parents, siblings, grand parents or friends at school. Super cute! My favorite find? 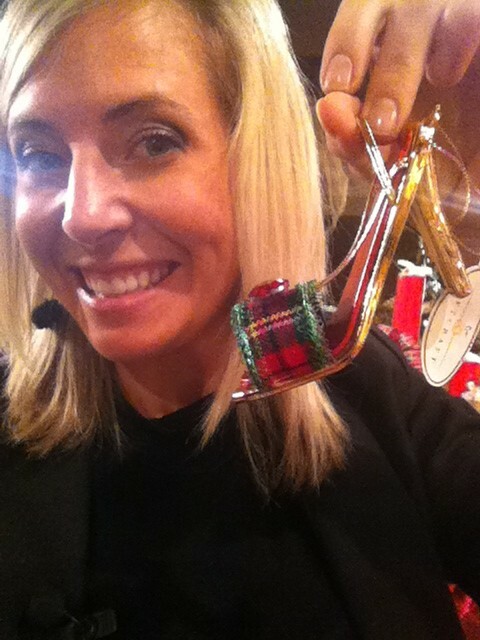 Well, I’m a shoe-o-holic, so I of course fell in love with the shoe ornaments. So chic! And oh so appropriate to write about on Fabushoe Friday! 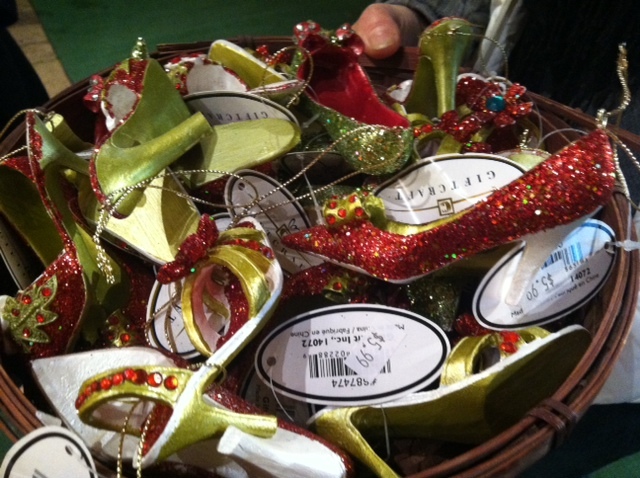 I highly recommend visiting Big Tree Plantation – whether or not you need a tree…or shoe ornaments – to make some memories with your family this holiday season!